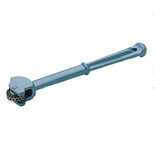 Replacement 6" wire wheel used for removing residue, paint, rust etc. 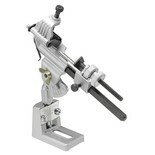 For use with bench grinders with 12.7mm bore. Replacement 8" Wire Wheel - An 8" wire wheel used for removing residue, paint, rust etc. 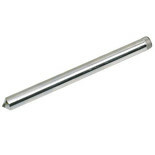 For use with bench grinders with a 15.88mm bore. This 40 fold Calico Pure Cotton Polishing Mop is ideal for polishing copper, steel, brass, nickel, silver and chrome plated products. 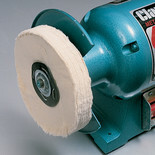 A pack of five fine grit sanding belts suitable for the Clarke CBG6SB bench grinder. 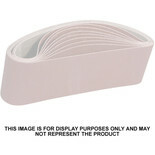 A pack of five medium grit sanding belts suitable for the Clarke CBG6SB bench grinder. 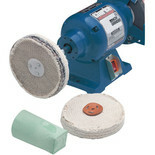 Replacement stone for a Clarke 6" bench grinder and other makes (subject to speed rating). Silicone wheel for sharpening tungsten carbide. 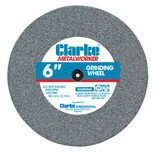 A pack of five course grit sanding belts suitable for the Clarke CBG6SB bench grinder.